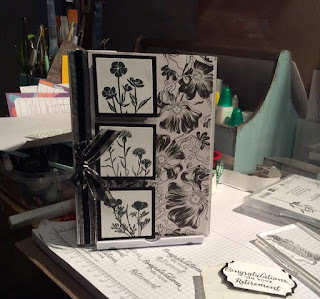 Tri Fold Shutter card Stampin' Up! turn to the short side and pop back into the trimmer at 1 1/2" and cut from the 1st score line to the last, flip over and repeat. 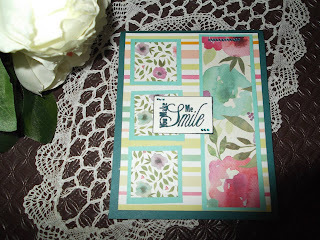 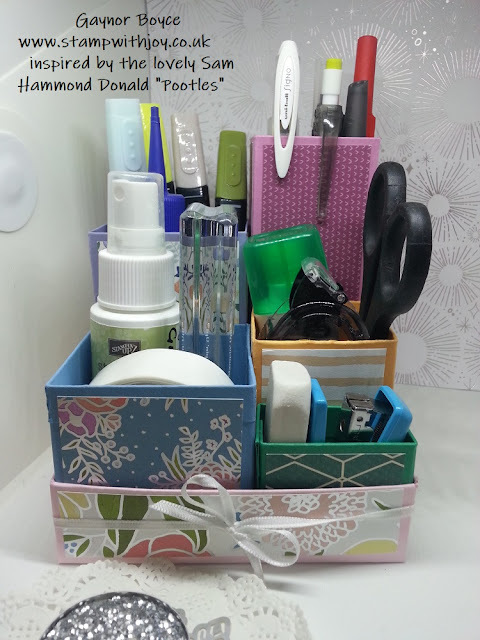 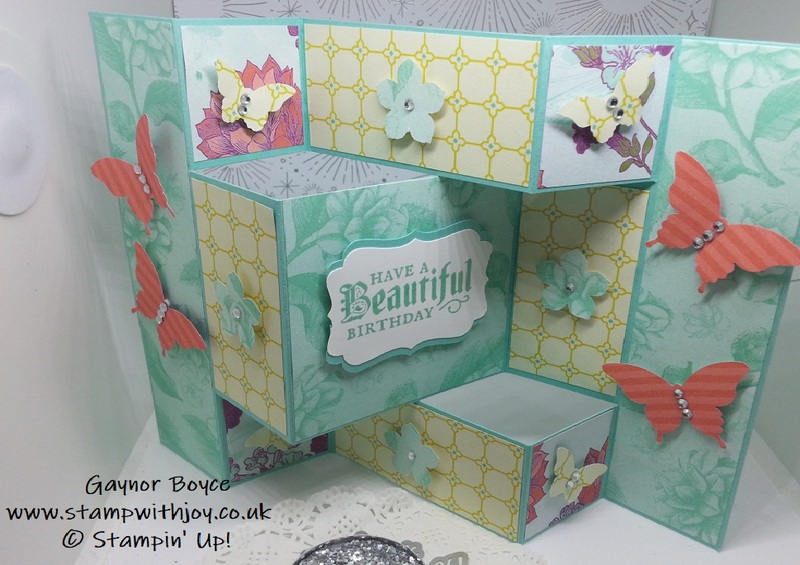 Fun Fold 6 x 6 Shutter Card Stampin' Up! 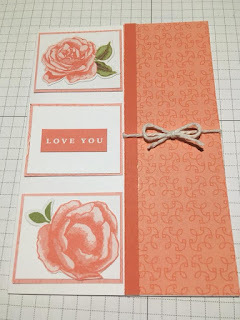 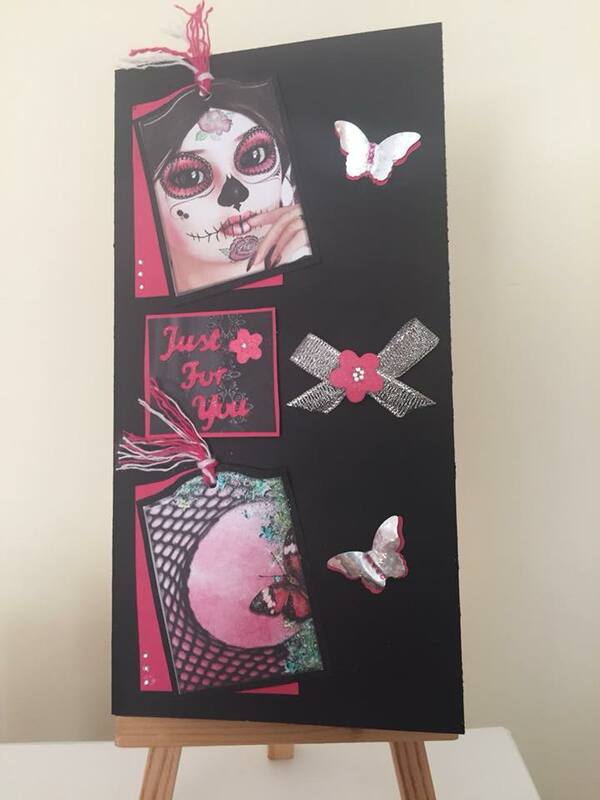 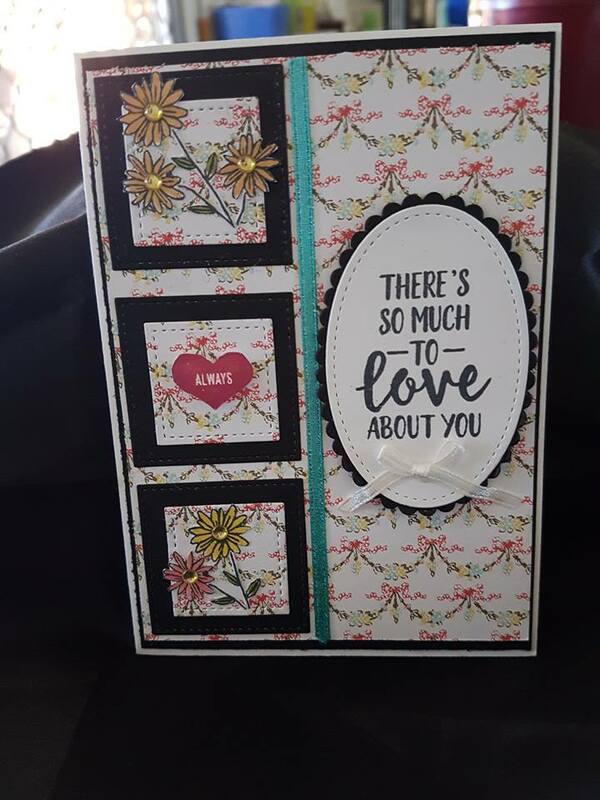 I had so much fun putting this card together, love the stamp set and the DSP, it also comes with die, but I haven't purchased these yet. 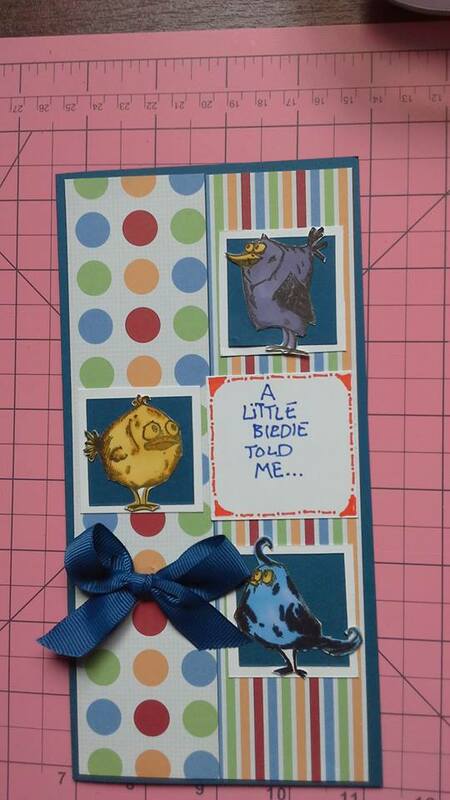 put it in the short side at 2" and cut from 4" to 8". 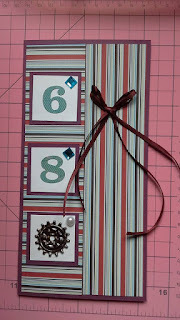 Turn to the long side and score 4", 6" & 8". 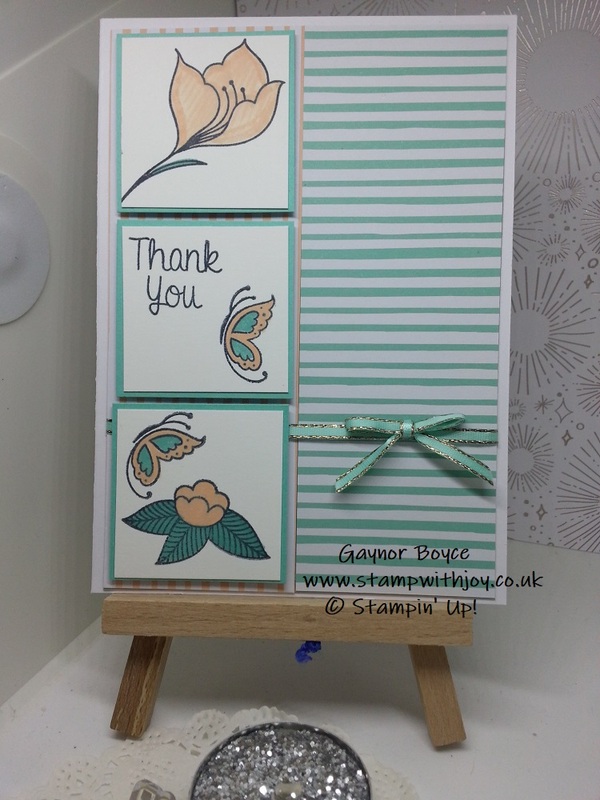 Diorama card using garden Impressions DSP Stampin' Up! 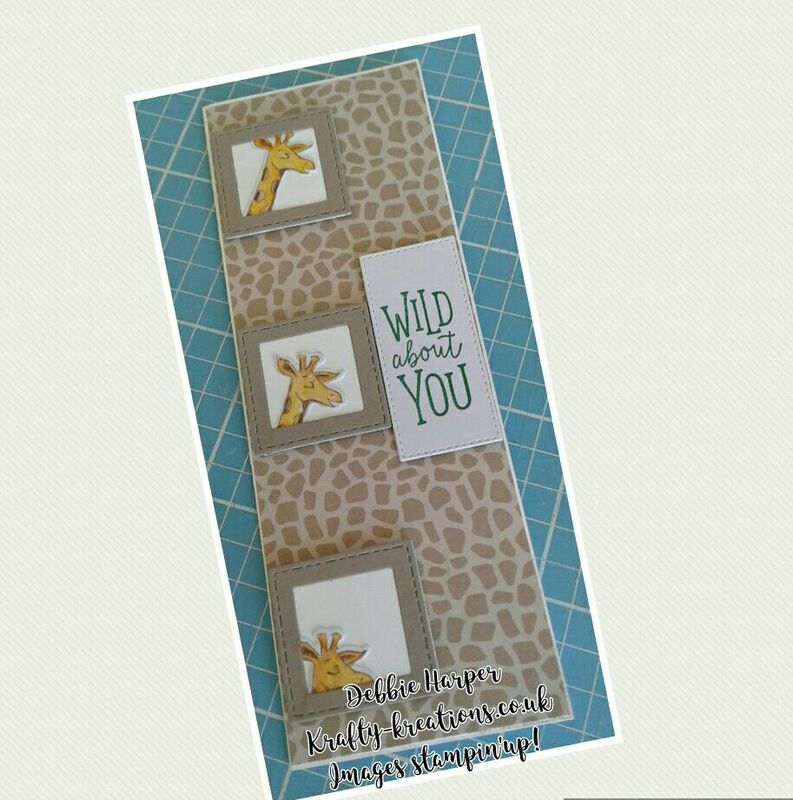 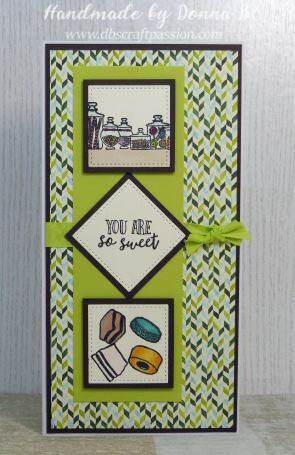 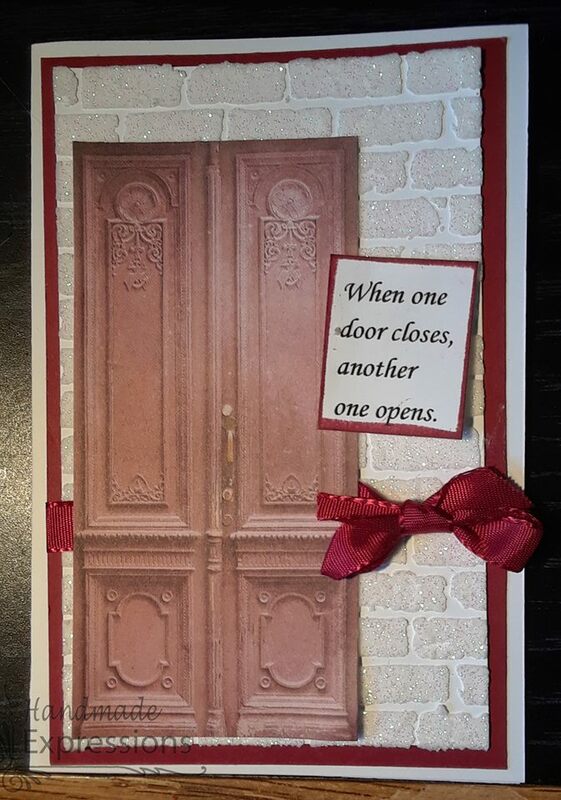 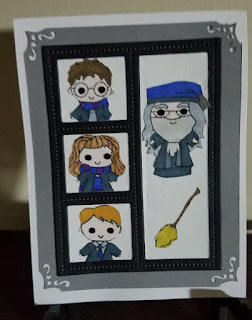 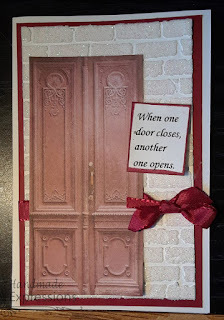 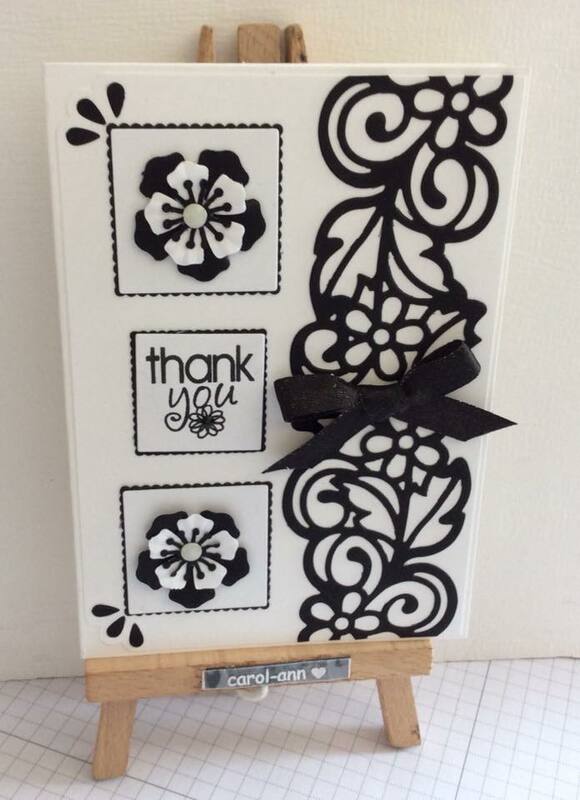 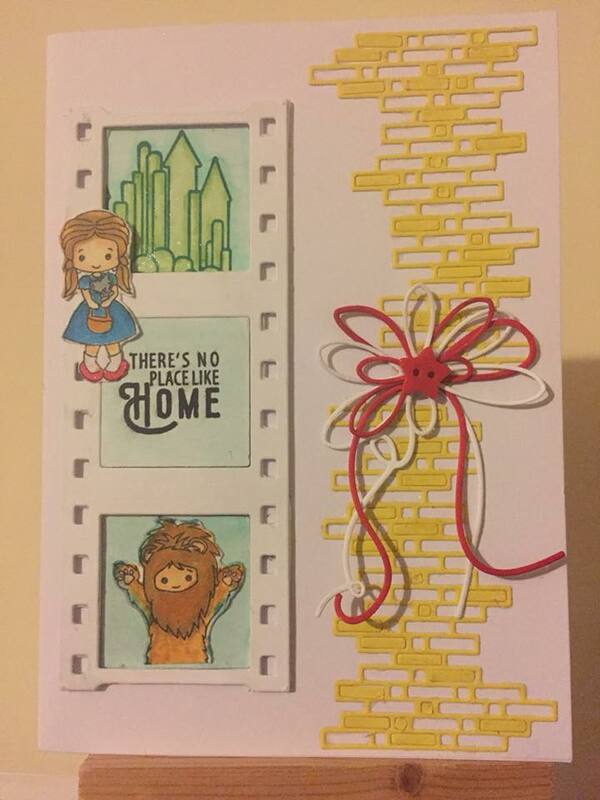 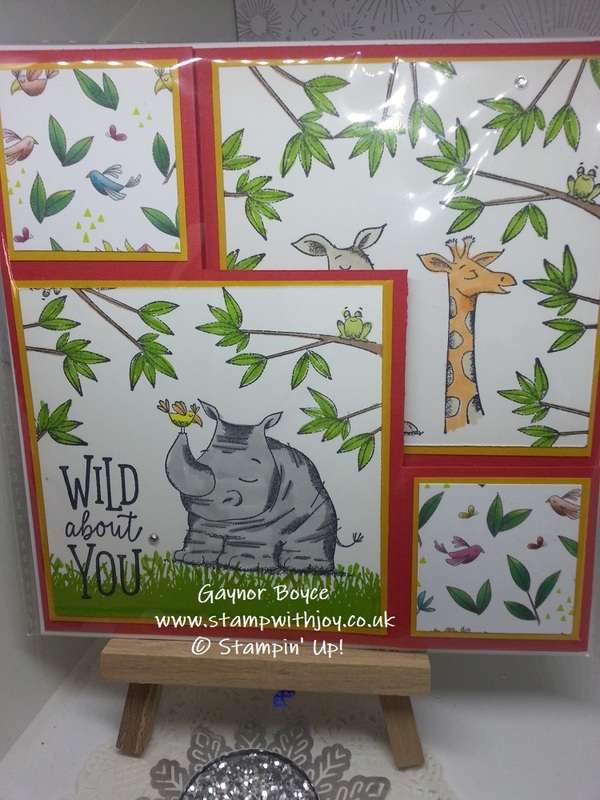 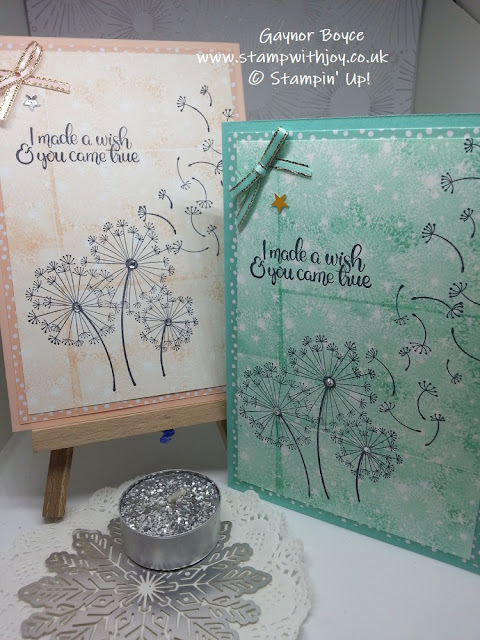 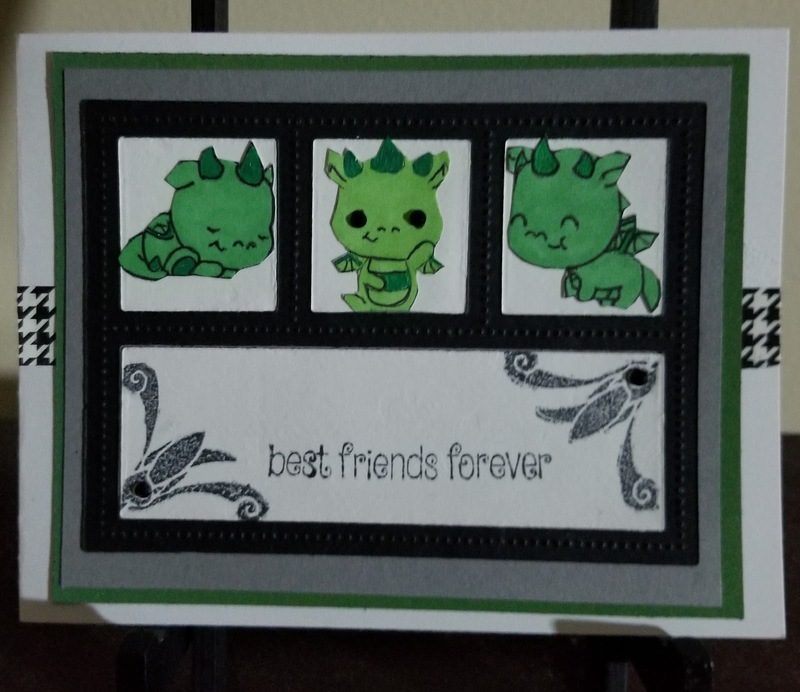 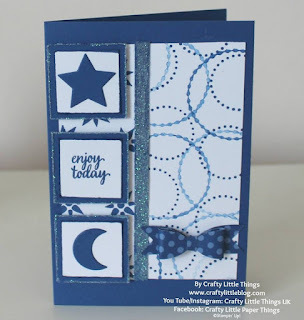 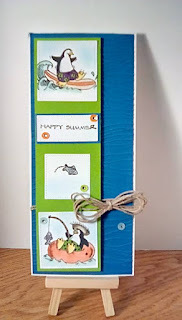 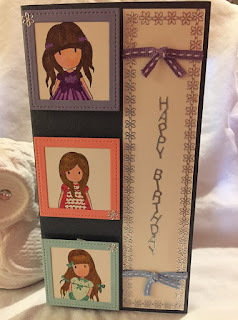 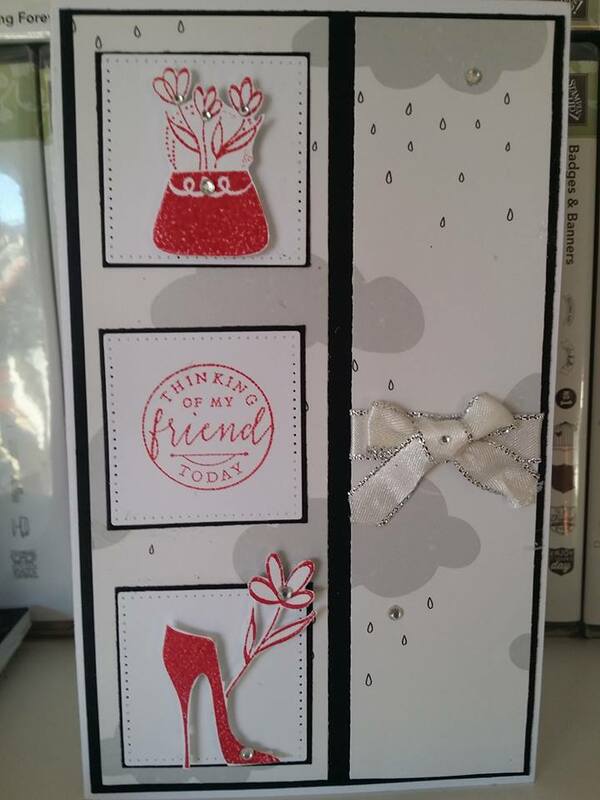 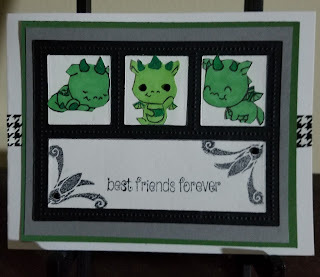 Oh I like today's card, I have made a diorama card before, but this new bundle from Stampin' Up! 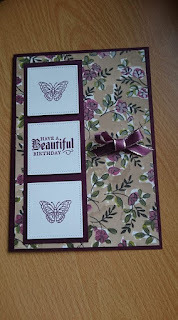 is just so pretty. 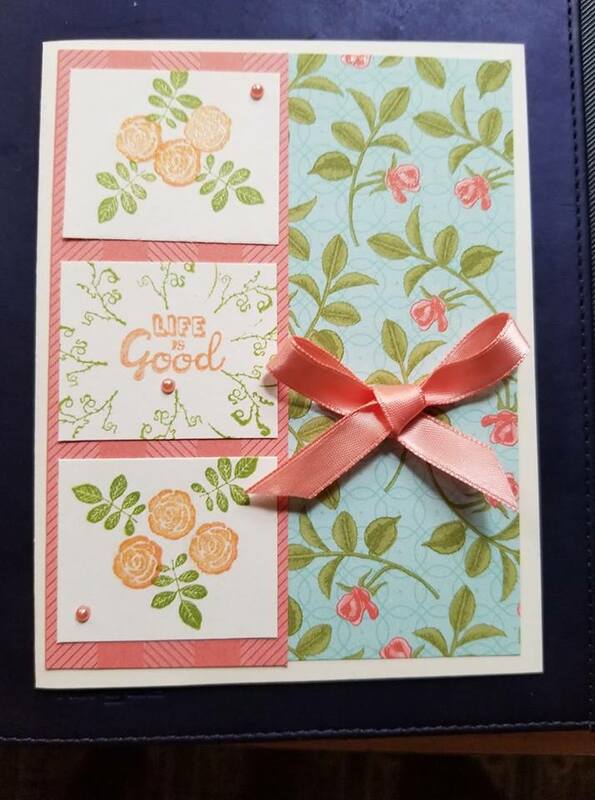 Calypso coral 4 x 6 for the circle and frame, and also for the butterfly and flowers. 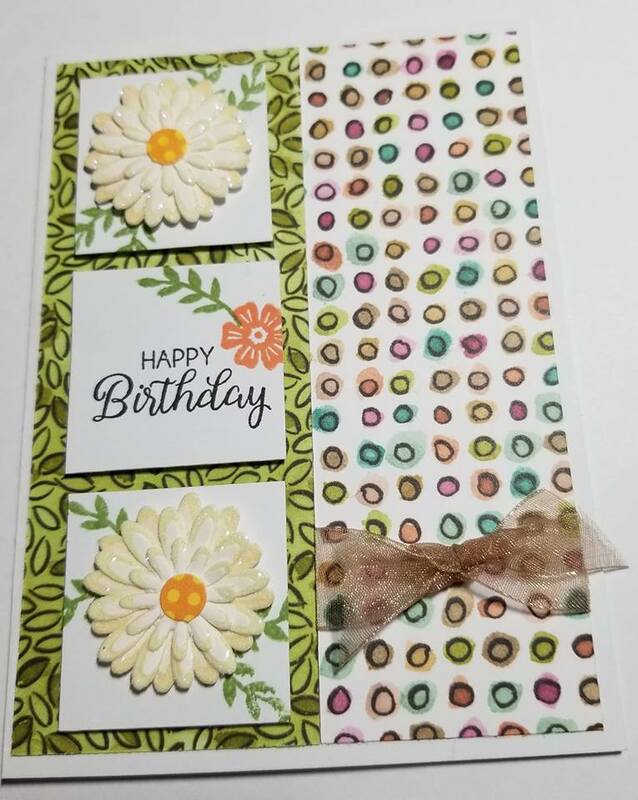 The bundle is called Abstract impressions, which you can buy as a bundle and save 10%. 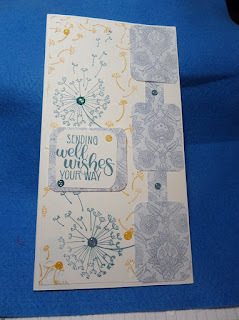 Today I combined the Danillion wishes with the bokeh dots together to get this very pretty card. 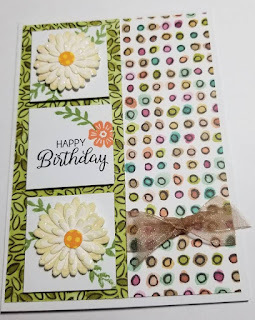 Both stamp sets are just gorgeous and paired together gave me great results. 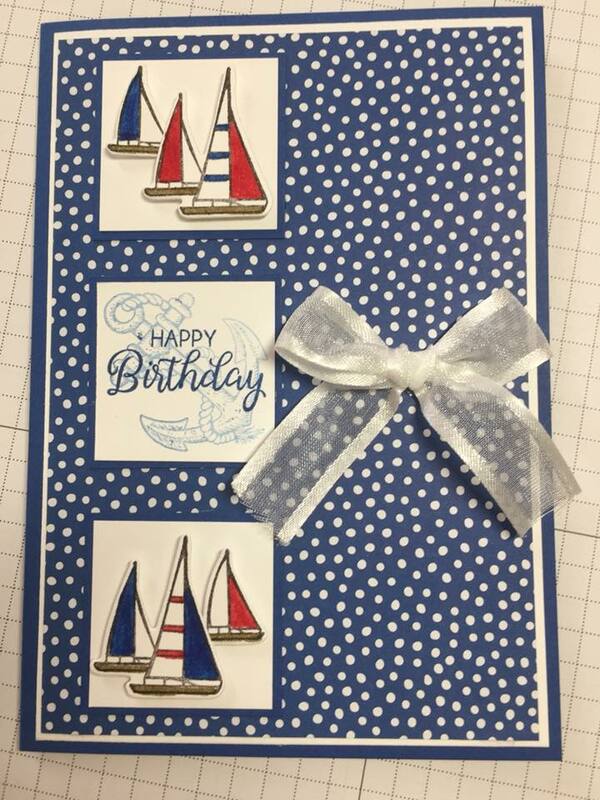 Coastal Cabana card 8 1/4 x 5 7/8 folded in half. 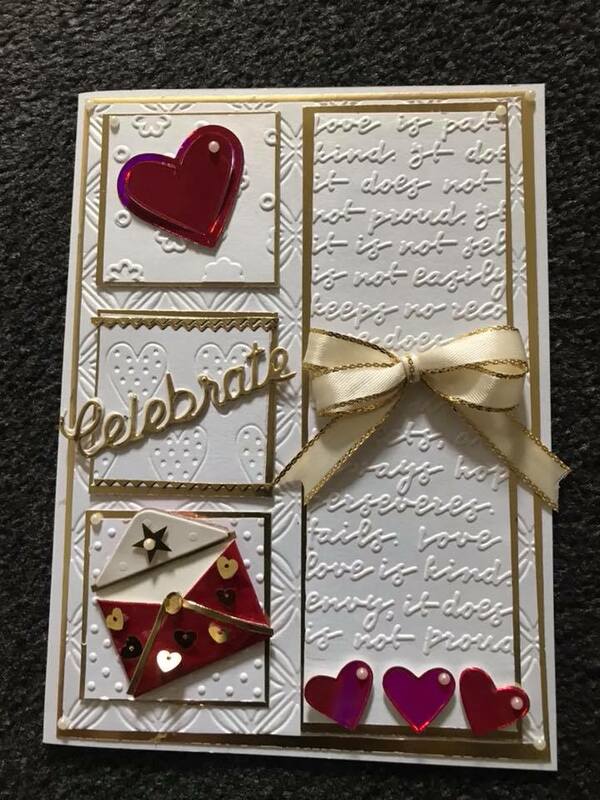 Whisper white card 1 @ 3 7/8 x 5 5/8 inside and 1 @ 3 3/8 x 5 1/8 front. DSP 3 7/8 x 5 5/8 the new collections from the subtle range. 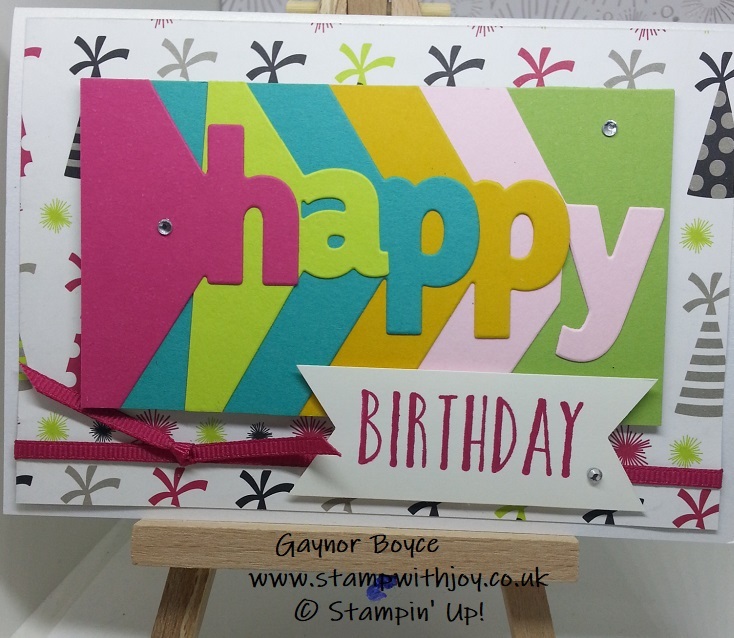 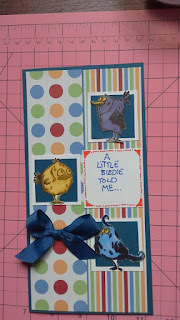 Lined Alphabet Happy Birthday Card Stampin' Up! 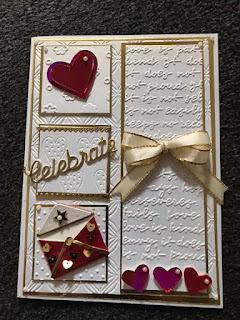 Thick whisper white 8 1/4 x 5 7/8 folded in half. 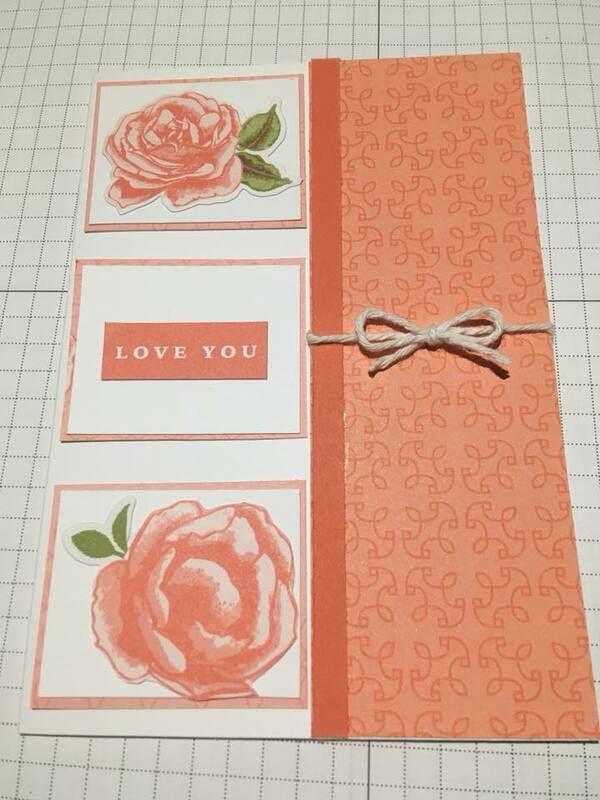 Coloured card stock, of your choice, for the lined alphabet letters, needs to be about 3 x 4 1/8 each piece. 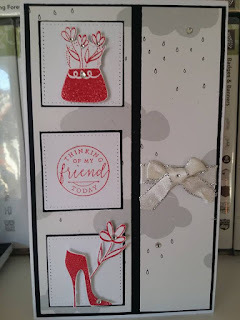 Postcard Pals Card Stampin' Up! 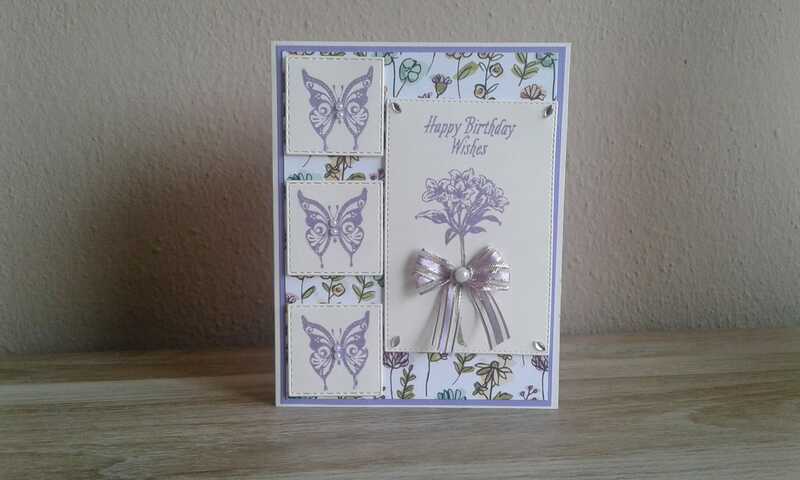 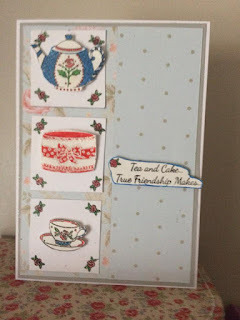 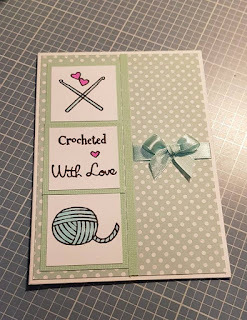 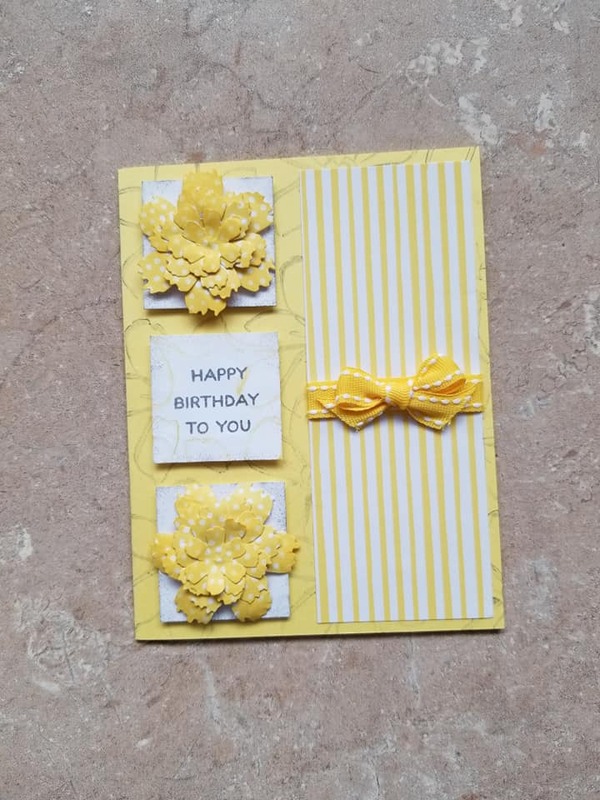 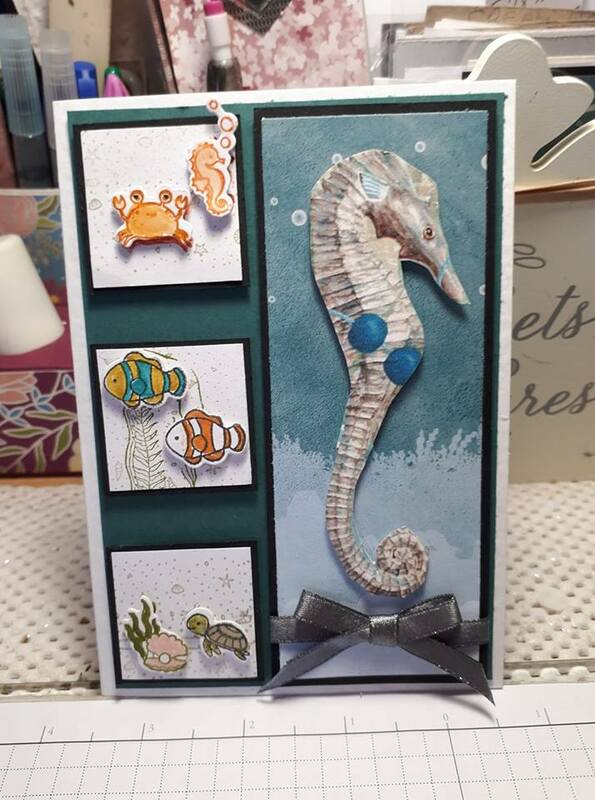 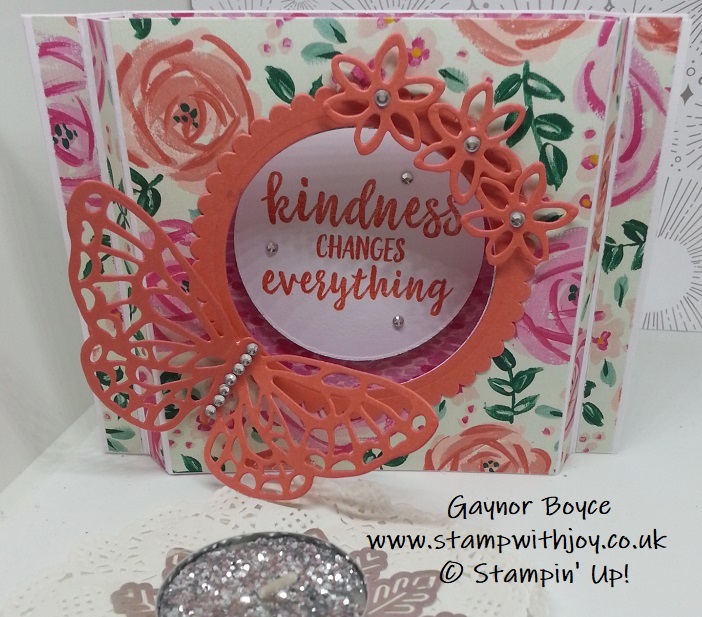 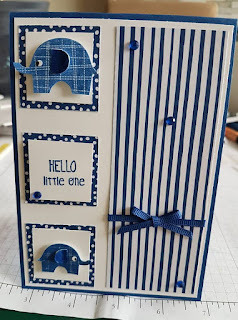 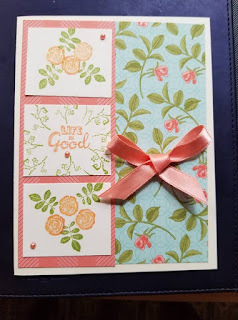 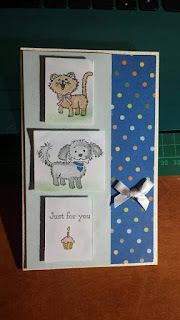 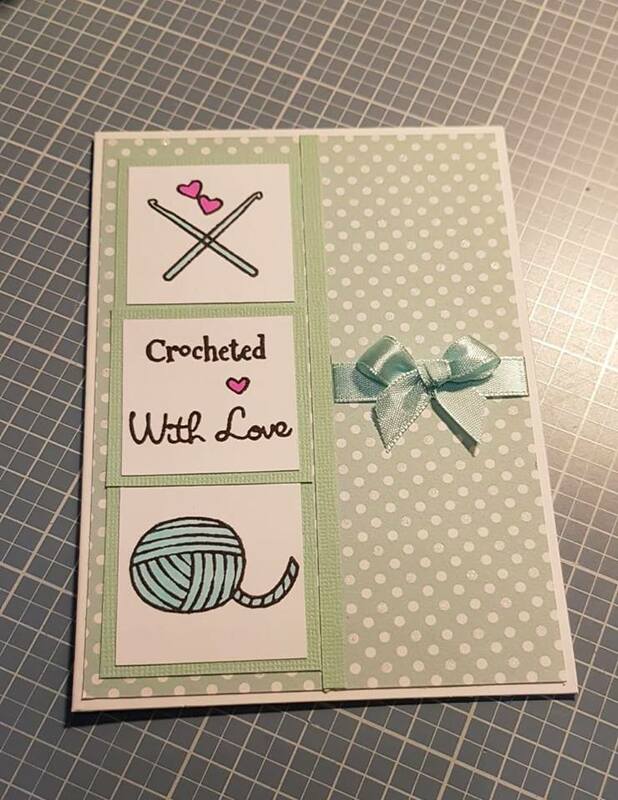 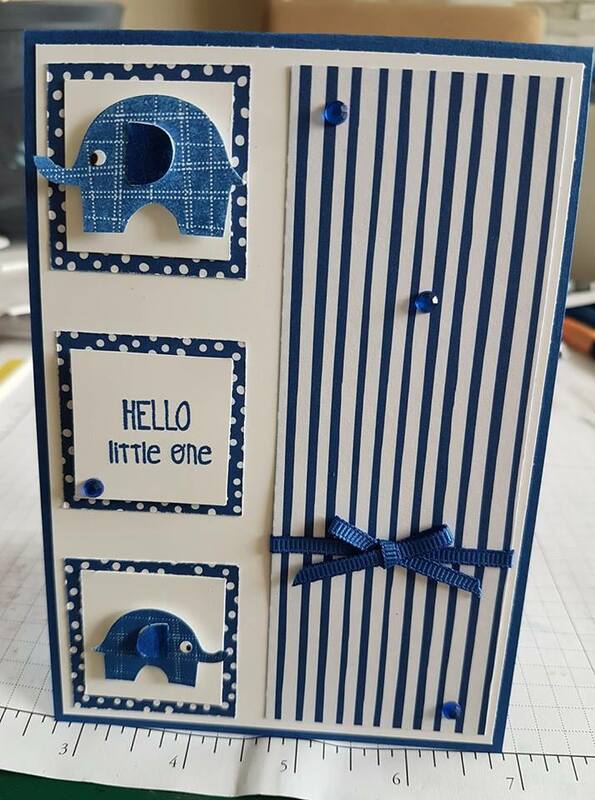 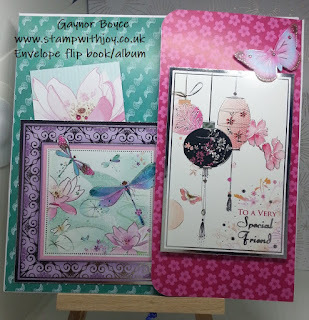 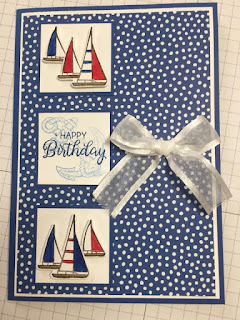 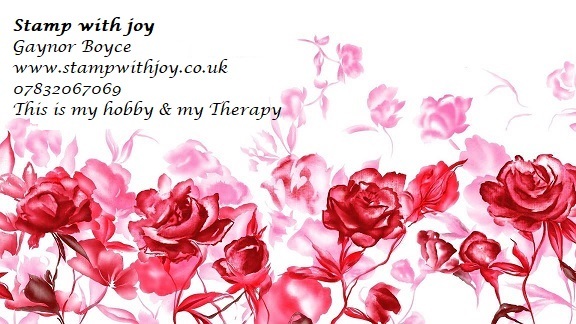 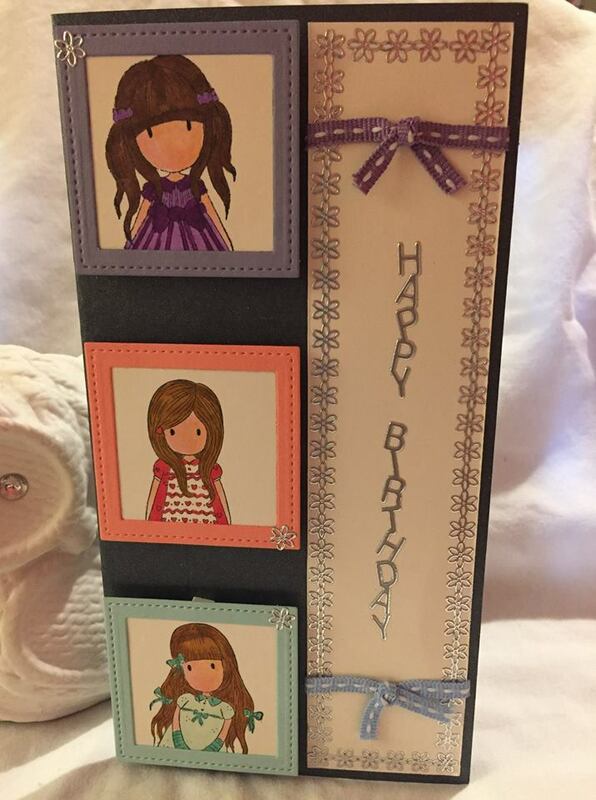 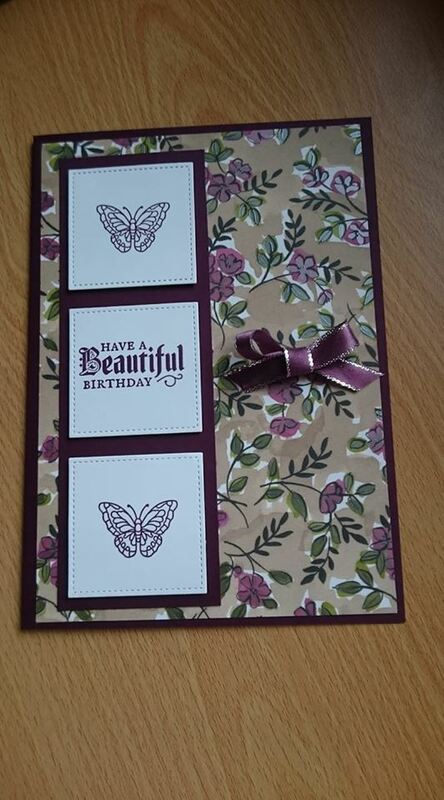 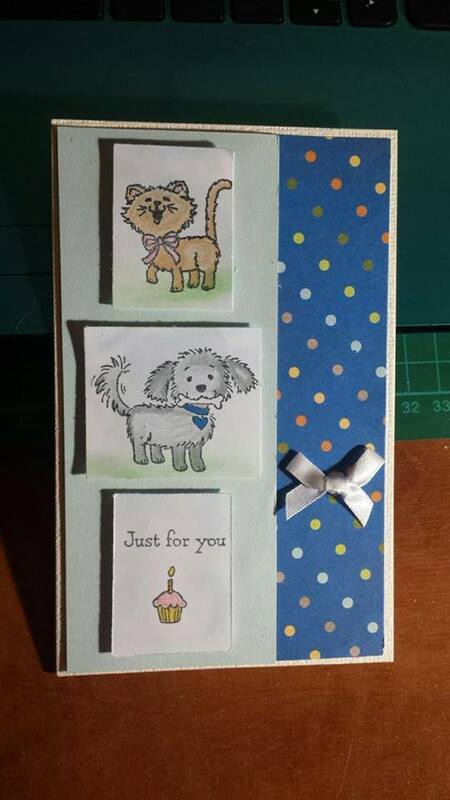 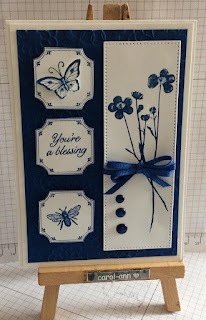 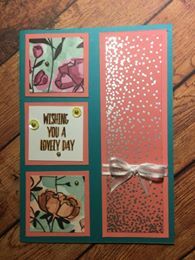 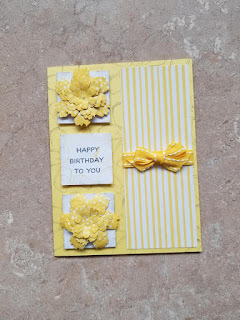 Today I have made this very cute card which a cased from the new catalogue, I changed a few things and colours, I do hope you like it as much as I do. 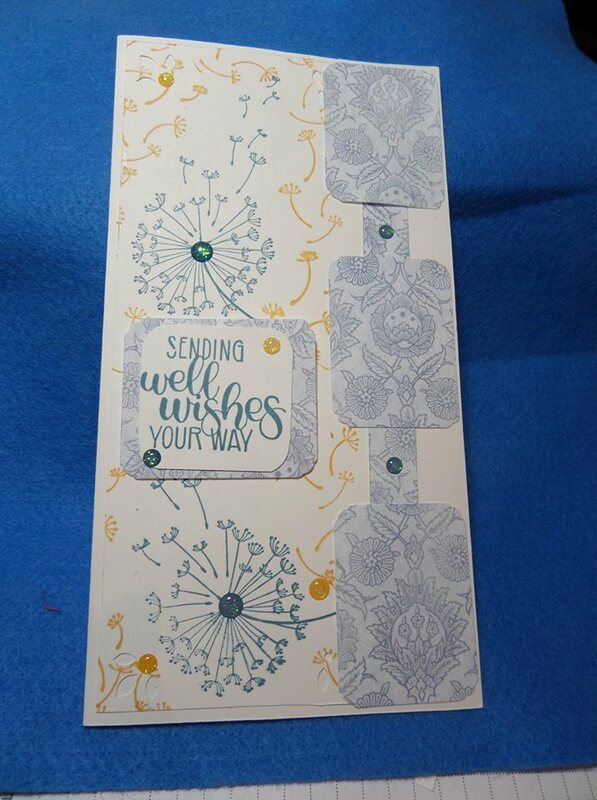 Whisper white 2 @ 3 7/8 x 5 5/8 one is run through the big shot with the new scalloped lines embossing folder, and 1 is for the inside. 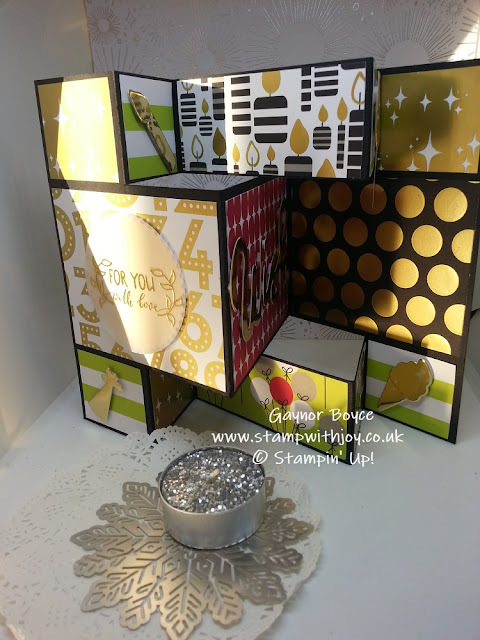 Pear pizzazz 3 x 3 for the stitched square. 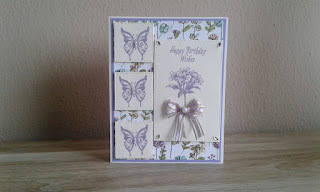 No 5 square from the layering square thinlits to cut out the centre of the stitched one. 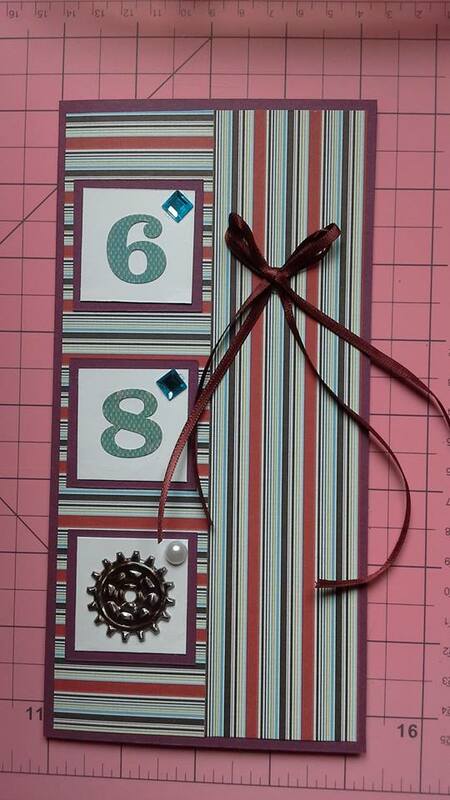 and ribbon, button and linen thread for decoration. 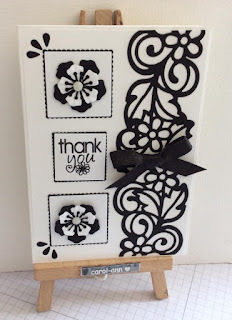 Kinetic shutter card Stampin' Up! 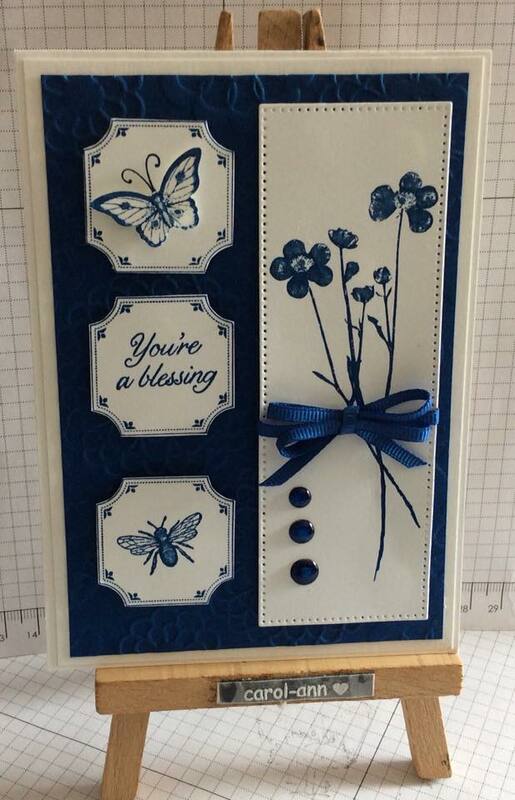 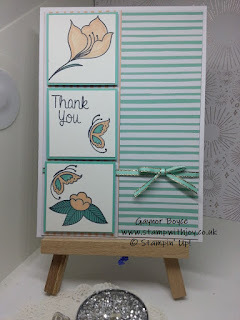 Today I have made this beautiful kinetic shutter card, and it was so simple. 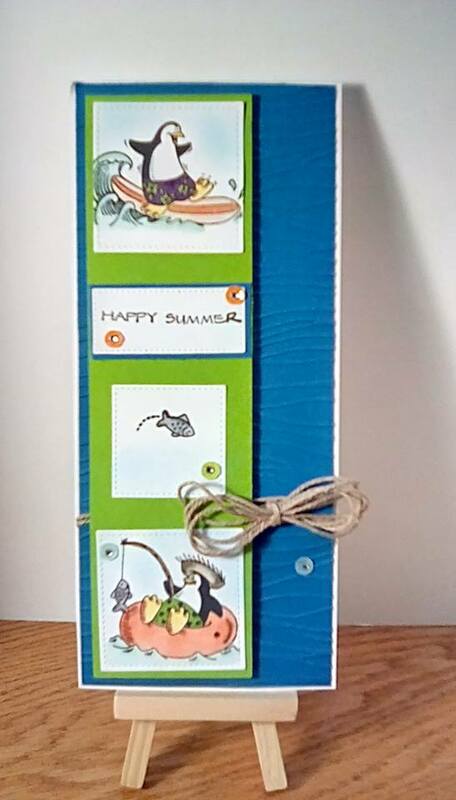 Coastal Cabana base 5 7/8 x 11 score the long side at 2,4,7,9"
turn to the short side and put it in the trimmer at 2" and cut from 2" to 9 " flip and repeat. Outer tray 8 1/8 8 5/8 score all 4 sides at 1/2" & 1 3/4"
Smallest box 6 1/2 x 3 1/4 score short side at 1" & 2 3/4 score the long side at 1", 3", 4", 6"
Med box 8 1/2 x 5 1/2 score the short side at 2" & 5" score the long side at 2, 4, 6, 8"
Tall box 8 x 8 1/2 score the short side at 2" & 7 1/2" score the long side at 2, 4, 6, 8"
Tallest box 10 1/2 x 7 score the short side at 2 1/2 & 6 1/2 score the long side at 2 1/2, 5, 7 1/2 & 10"
Sketch 24 using Broadway Bound DSP Stampin' Up! 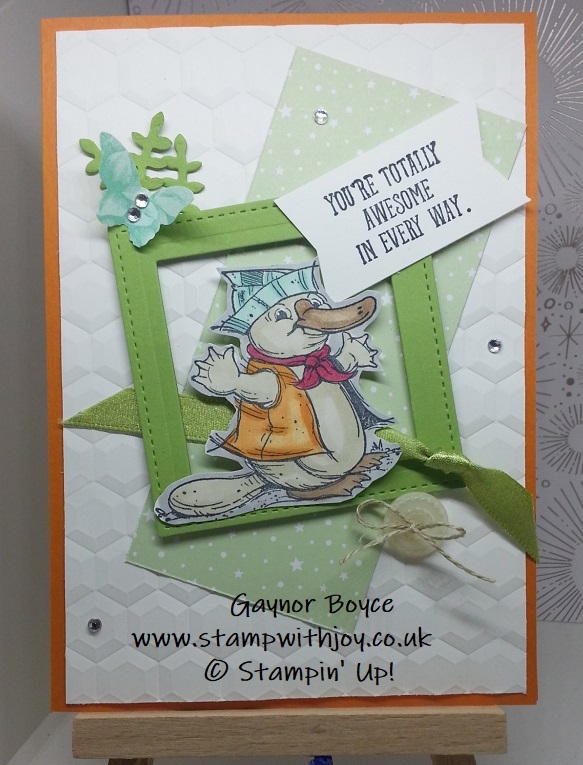 Today is sketch day, as you all know, we do a weekly sketch over in our face book group, stamp with joy, and this is my version of the card. 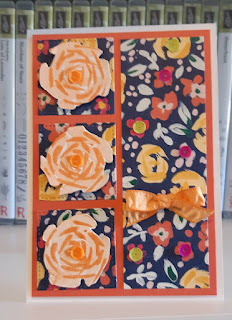 DSP 2 @ 1 1/4 x 6 to be trimmed down. 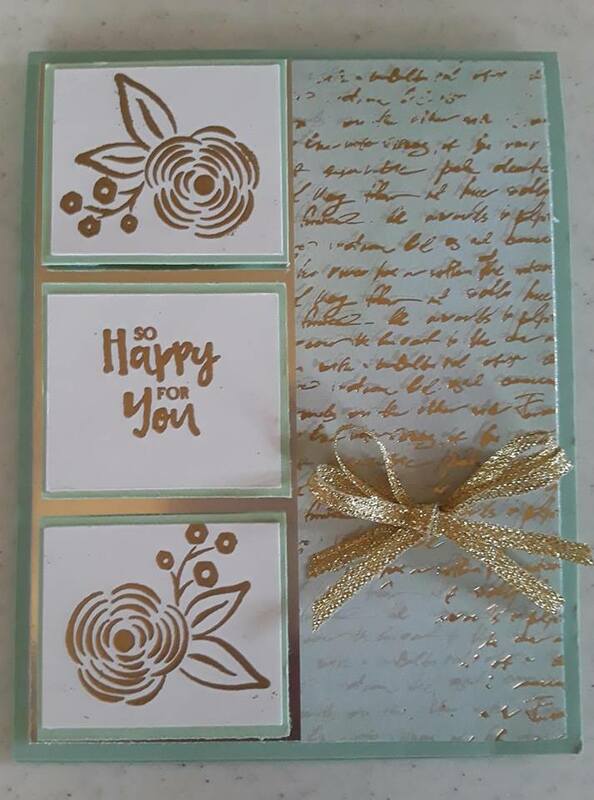 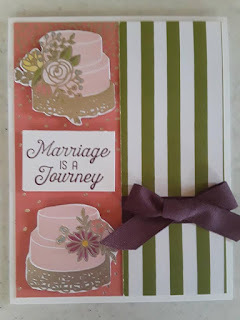 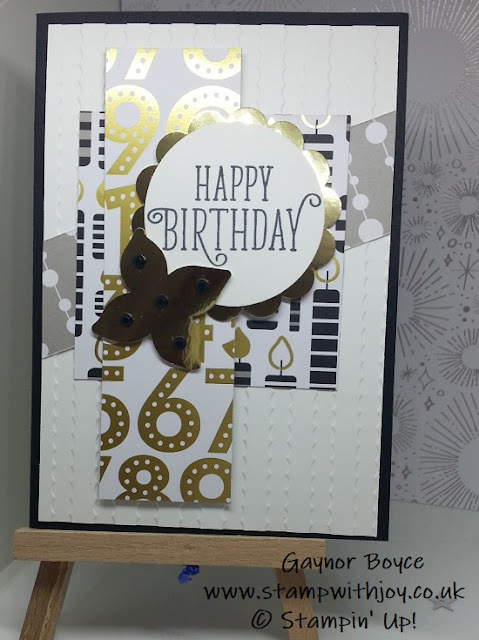 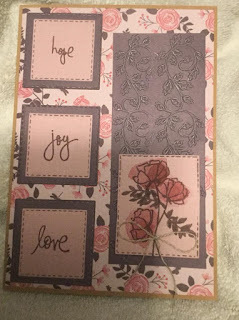 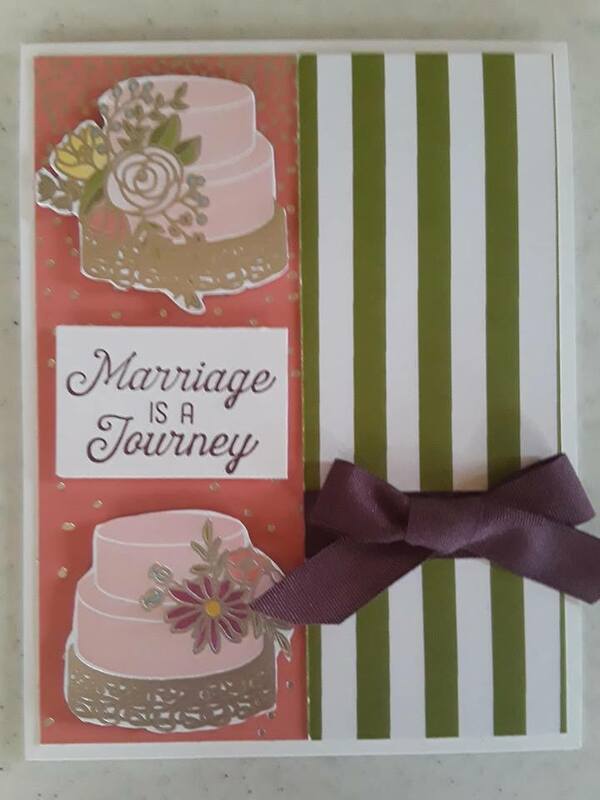 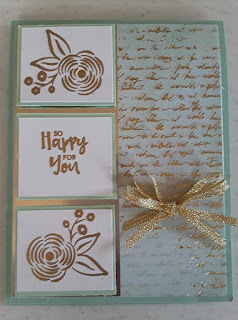 extra's for the sentiment, plus gold foil sheet for the scalloped circle and flower.